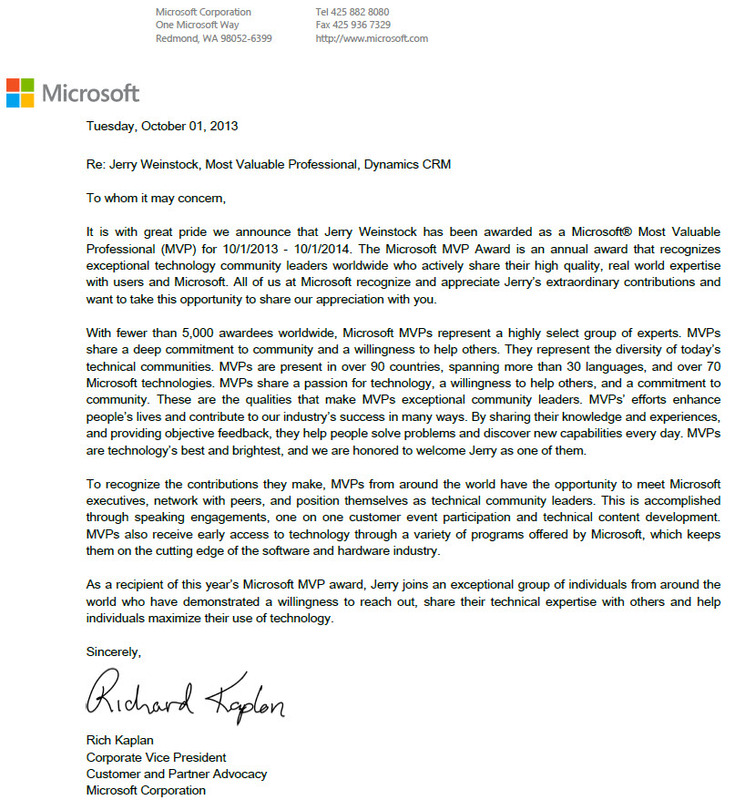 On October 1, 2013 I received notification of my Dynamics CRM MVP status with the award notification letter below. I am passionate about the CRM product and I am grateful to be able to give back to the community for all that this great product has given me. The last 10 years have been great, I look forward to the next 10 years with the product.